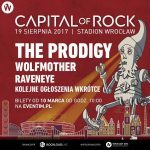 The Promoters of RockloudLive sadly inform, that they have been forced to cancel Capital Of Rock festival, scheduled for 19 August 2017 in Wroclaw, due to promoters’ unforeseen organizational circumstances. 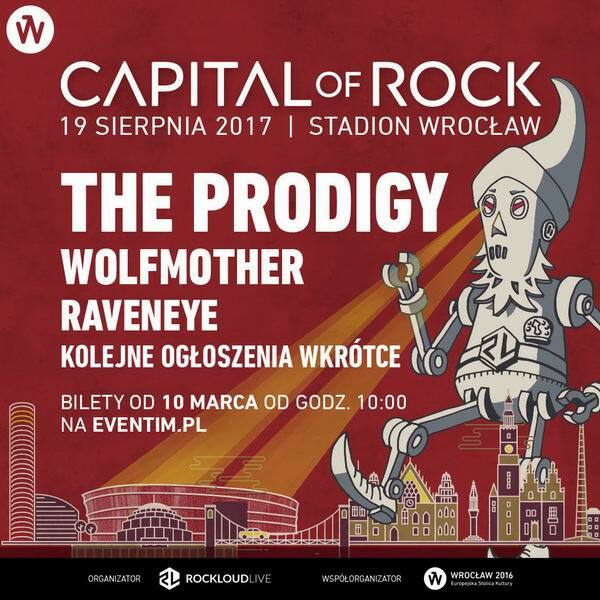 We want to apologize to all the fans and everybody, who has planned to take part in Capital Of Rock. We would also sincerely like to thank and apologize to The Prodigy and all Artists and all festival partners.